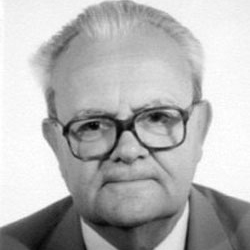 András Kubinyi, honorary member of the International Commission for the History of Towns passed away in November 2007. His sudden death is a great loss both to Hungarian and international academic life in general, and to research into urban history in particular. He was born in a noble family which gave several outstanding intellectuals to Hungarian academic life, and which could trace back its origins to the fifteenth century – not necessarily an advantage in the Hungary of the 1950s, when he started his career. He completed his studies of history, Latin philology and archives studies at the Péter Pázmány (later: Loránd Eötvös) University of Budapest in 1952. After two years in the Archives of Miskolc, he was invited to work at the Budapest History Museum, as part of a team that prepared and wrote a new five-volume History of Budapest (published in 1973). In 1969 he was appointed Head of the Medieval Department of the Museum. This job determined his future work in at least two ways. Through the commission to write a new history of Buda, Pest and Óbuda (united as Budapest in 1873) in the Middle Ages, he got engaged with urban history; whereas by leading a department whose main activity comprised excavation and working with the finds recovered, he becamean expert of medieval archaeology. His experience as a researcher and museum-person had a great impact on his teaching activity as well. He taught as part-time faculty member at the Eötvös University already from 1963, but it was especially from 1978, when he was invited to the Department of Archaeology, that he introduced a new line of teaching: that of medieval archaeology. In 1988 when he was appointed professor, he founded a separate Department of Medieval and Post-medieval Archaeology. He laid special emphasis on teaching his subject as a historical discipline: introducing his students to the study of written sources and auxiliary sciences (epigraphy, heraldry, numismatics, etc.) was just as important as the teaching of “archaeology proper”. His expertise extended to several fields, including but not limited to the history of institutions and political life in fifteenth- and early sixteenth-century Hungary; the royal court and courtly culture; the history of everyday life from the peasantry to the high nobility; to demography and economic history; but his strongest contribution was undoubtedly to urban history. Beside contributing to the monographs of several towns, he discussed general questions of ecclesiastical life, economic development and social structure of medieval Hungarian towns in more than 100 studies, about half of them in German. His greatest achievement was perhaps to apply a complex set of criteria based on central place theory to establish a hierarchy within the settlement network of late medieval Hungary. He was a regular and eager participant of international conferences from the late 1960s onwards, especially those of the Südwestdeutscher Arbeitskreis and the Österreichischer Arbeitskreis für Stadtgeschichtsforschung. He was elected member of our Commission in 1978 and participated actively in its work until his retirement as an honorary member in 2002. He edited the Hungarian volume of the Elenchus fontium historiae urbanae (Budapest, 1997), and headed until his death the research group for the Historical Atlas of Hungarian Towns. Beside several other official awards, he was honoured with the Pro civitate AustriaePrice in 1992 and was elected member of the Hungarian Academy of Sciences in 2001. He will be sadly missed and fondly remembered.